​I am not a typical gamer. I bought my PC when I was in class 8. I got that big machine after a long waiting. I told my parents that I want to learn computer, that is true. I also added, it's important for my class. It was a big lie. I am from West Bengal board which was lagged behind in terms of computer syllabus. We had not such important things that you needed to buy a personal computer that time. As far as I can remember, only ms paint, ms excel and ms word were in our syllabus. and someone asks me now, why I bought my PC? The answer is- To play game that time. I saw project IGI, Max Payne in my friend's PC. I was amazed how can be it possible. I can control a man who looks almost real. I can jump, I can fire, I can bend my head down, I can crawl and almost everything. I decided that time, when I will buy PC, I will definitely install those games. At the very first after buying computer, I played almost 3-4 hours continuously at a time. Project IGI, project IGI 2, Max Payne, Max Payne 2, FIFA 05, GTA Vice City. I had a craze on vice city in different level. One day, I went to market with my mom. Mom was talking at a clothing store. And a video game parlor was just opposite to it. I was watching the game play. Local boys were came there and played games on play station. A boy was playing GTA vice city. I was so surprised after seeing the game play. This was the first time, I saw a open world game, and you all know grand theft auto simply dominates this genre. You can ride any car you want. Just go and kick him out of the car and start driving. A virtual world, you can go to any corner of the city. But I did not know the name of that game. I wished on that day, I will know the name and when I have my own computer, I will install that game. And now I have only one game on my computer. 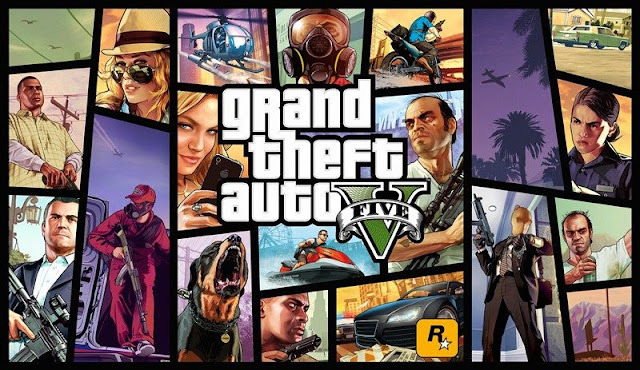 That is GTA V. The latest version of GTA series with high end graphics. Even I have upgraded my PC almost 6 months ago just to play GTA V. You can call me crazy but I am really crazy for this game. I just love it. One thing I want to say, please don't abuse me. I have played only one mission of the game. Then I downloaded the 100 percent complete save file and play it till now. I just play free roam. I drive super cars, I kill cops, I drive ambulance, I throw grenade, I roam with my bodyguards, and many more. 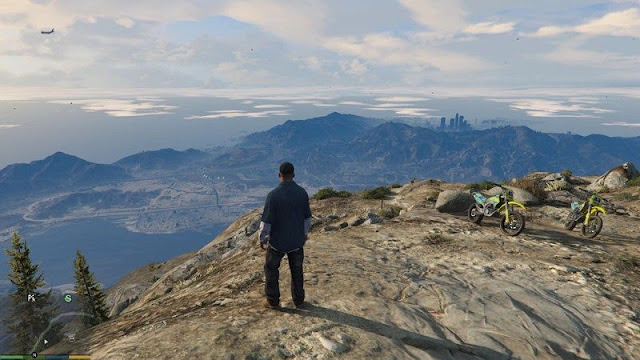 In this post, I will share you the most interesting way to play free roam on GTA V. As GTA is a open world city, you can do almost anything just by roaming. I am playing GTA V free roam since November, 2016. I use Geforce GTX 970 graphics card, Corsair RM750X SMPS, cause normal 450 SMPS could not run this game. I use 8 GB (2x4GB) Corciar Vengeance gaming RAM with Intel i5-4440S processor, 3rd generation. This is not very good, I will update it to i7 processor when gta 6 will be released. This upgradation costs near about 1 lakh rupees (1600 USD). Anyway, back to the topic, I want to share a method where you can enjoy your GTA V free roam the most. First, you need the native trainer for this. Click here to download the native trainer. Add this to your GTA V main directory. All the instructions have been provided there. Once it is installed, run GTA V. I think most of you already have this trainer, cause who doesn't love to play in God mode? Well, once the game starts, open the trainer by pressing the F4 button. Go to player option. Turn invincibility on, turn fast swim and fast run on. Now go to weapons. Select get all weapons, and turn on no reload. Let's play now. Kill some people or destroy cars. Get one star first that means you are wanted now. Then go for second and third star simultaneously by killing more people. Now cop will start to chase you. Don't fire to any pedestrian or cop now. Just survive. It's like a cop and thief playing. You just have to escape, and they will chase you. It's a good time pass if you get bored by only laying free roam. In this case, bike is the better option. Many times when you need a bike when there is no more bike nearby. You have to use cheat then. Press "~" key (just under the escape key) you have to type ROCKET in the box and press enter. You will get a Suzuki bike. Otherwise, if you need a mountain bike, you can use OFFROAD code. For a helicopter, use BUZZOFF. There are some more rules like; you can not ride train that moment or can not drive your bike on rail line. You can not hide in the railway tunnel. If you use these, you will not get that thrill of playing run and chase. You can try it today. Have you ever tried redux mode? I've tried many times, but it crashes each time. Even I heard from all who tried to play GTA V in redux mode; it crashes for everyone. Then how to play redux mode? Is there any way to run the mode with 100 percent guarantee? I have seen some redux mode game play video. If you have not heard before, here is a sample for you. Well, no more today. If you have any question related this post, related this game play, feel free to ask me. Just do drop a comment below the box. If you find this post interesting, you can share this with your friends via social networks like Facebook, Google Plus, Twitter, LinkedIn and others. Take care. Have a nice day.